We provide high quality painting, decorating and property refurbishment and maintenance services to homeowners and commercial businesses throughout Oxted and the surrounding areas. Ranging from simple painting and decorating projects to comprehensive bathroom refurbishments and plumbing installations, we provide the complete property maintenance service to customers across Kent, London and the South East. We have been helping homeowners and commercial businesses from across Oxted and the South East improve the look and feel of their properties for more than 18 years. This experience enables us to meet requirements that other painting and decorating companies cannot. While painting and decorating remains our main area of expertise, we also specialise in comprehensive property refurbishment and maintenance projects. 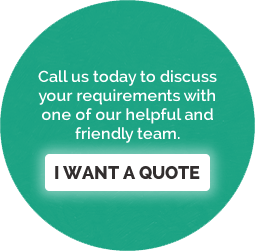 We have a vastly experienced team of fully qualified, Part P and Gas Safe certified plumbers and electricians who carry out everything from boiler installations and electrical installations to complete bathroom refurbishments. We like to go the extra mile for our customers, which is why we also carry out insurance work should your home or commercial property suffer fire, smoke, water or criminal damage. If you would like any more information about our painting, decorating or property maintenance services in Oxted and the surrounding area, feel free to speak to one of our helpful and friendly team.